The fight for women’s political rights gained momentum in the mid-19th century. Many of the movement’s leaders learned skills from their abolition the movement to end slavery activities as the movement against slavery grew stronger. But as the country began to debate universal male suffrage Universal suffrage means that every citizen (of a certain age) can vote. Here, universal male suffrage would mean that every male citizen could vote, white leadership in the mainstream women’s movement divided, and eventually it split. Black women were present in the early suffrage movement, but their contributions were not always recognized by the primarily white organizations, nor were their unique needs addressed as women of color. At this time in history, huge waves of European immigrants came to America as industrialization The introduction of big businesses with high-tech factories and production increased in the North and plantations grew (through the use of slaves) in the South. Expansion to the West also increased the abuse of African slaves and indigenous tribes. Issues of slavery and economics ushered in the American Civil War (1861-1865) which ended in hundreds of thousands of lives lost, acres of infrastructure Buildings, roads and other physical structures that let society work destroyed and political changes — including the abolition of slavery, and challenges to voting rights for African American men, and for women. White women’s suffrage had a little more support in Minnesota because of the influx of Scandinavian immigrants. 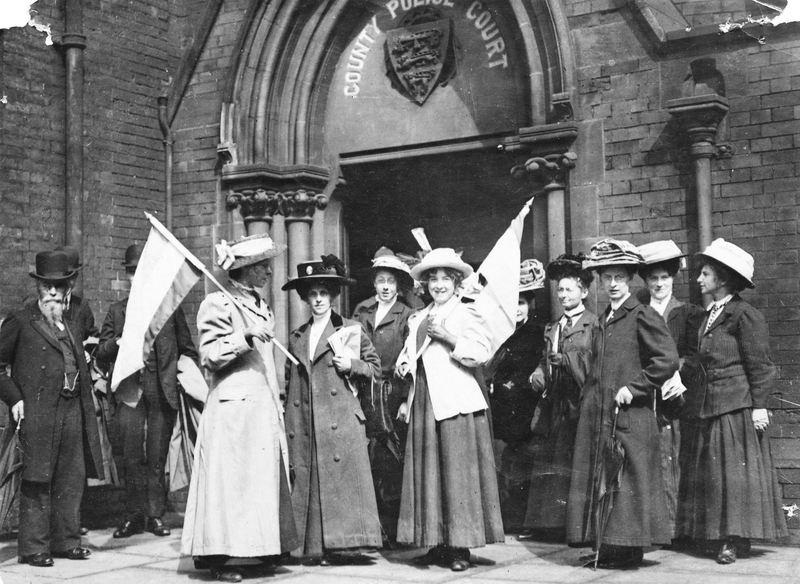 In their northern European homelands, women were closer to equality and had the right to vote, so the issue received public attention in the state. Clara Ueland founded the Minnesota Woman Suffrage Association (MWSA) in 1881 and her group fought continuously for women’s suffrage. After substantial growth in their membership, the MWSA became a chapter of the National American Woman Suffrage Association in the 1890s. In 1893 the group worked with some state Senators to change Minnesota voting law by removing the word “male,” but the proposal was not passed. African American-led women’s suffrage groups got less mainstream attention than white-led ones, but in Minnesota Nellie Griswold Francis founded and led the Everywoman Suffrage Club. She later went on to write Minnesota’s anti-lynching bill. Francis had access to education and a level of professional success that few Black women shared. With these advantages, she was able to overcome many of the racial barriers that existed and create relationships with white, middle-class, social and political women’s clubs that usually excluded Black women.